Dollar General has a promotion for Amex Serve prepaid cards that could make you $11 bucks. American Express is shutting down more Bluebird & Serve accounts in 2017, but one old Bluebird card still lives on. American Express has shutdown another batch of Bluebird and Serve cards just as my old bird came out to play once again. Does it make sense to pay monthly fees on Amex Serve cards that are restricted from loading just so you can continue to get access to Amex Offers? 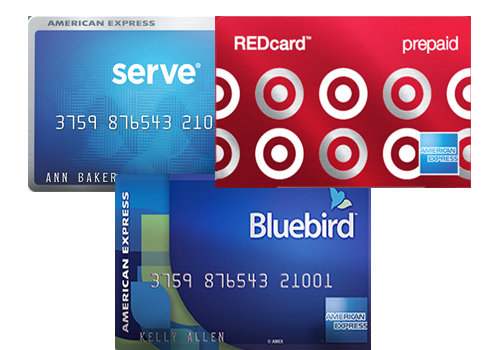 It is now possible to have all Amex prepaid reloadable cards at once, but can you get the additional products if you have previously been shutdown? An interesting Amex Serve shutdown data point and what strategy I think is best to take going forward. Following a huge wave of shutdowns in January, 2016 American Express followed up with another round of Bluebird/Serve closures today. Find out the details and what to do if your account is shutdown. Several people have reported having load issues with Metabank cards at Walmart. Find out my experience and what can be done to get around errors so you can liquidate these cards.